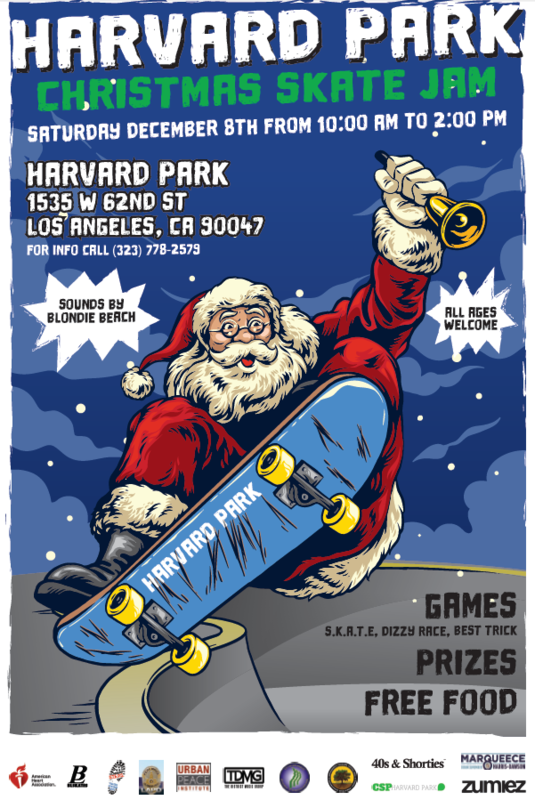 All ages are welcome at the Harvard Park Christmas Skate Jam. Games, prizes, free food. Sponsored by ECCANDC, Councilmember Marqueece Harris-Dawson, American Heart Association and more.